While classical advertising increasingly reaches its limits, the power of good journalistic content and exciting storytelling raises. Content marketing becomes increasingly important for companies to engage existing customers and to attract new ones for the brand. The Association of German Magazine Publishers (VDZ) in cooperation with the content marketing forum offer you the opportunity to be part of our Content Marketing World Tour to Cleveland, September 06-08, 2016. Since 2011 the northeast of Ohio is the place to be, when the best and the brightest brand marketers gather at the "Content Marketing World" (CMW). 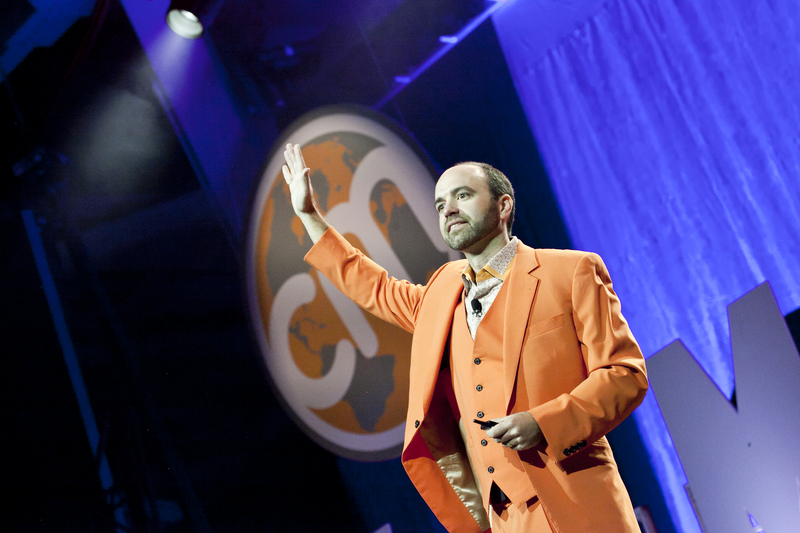 Host is no other than the "godfather of content marketing" Joe Pulizzi himself. Take this chance, to get an all-inclusive package for the biggest event in the content marketing industry. As part of the Tour we exclusively meet up with the founder of the Content Marketing Institute Joe Pulizzi for a face-to-face talk. The entrepreneur, speaker, author and podcaster is the winner of the 2014 John Caldwell Lifetime Achievement Award. His third book "Epic Content Marketing: How to Tell a Different Story, Break through the Clutter, and Win More Customers by Marketing Less" was named one of "five must read business vooks of the year" by Fortune Magazine. Joe has spoken at more than 400 locations in 14 countries advancing the practice of content marketing. Apart from running one of the most influential content marketing blogs, he also writes a column for Entrepreneur.com and is a LinkedIn Influencer with over 120,000 followers. Overnight stay is not included! Due to the sharp rise in hotel prices, we recommend early booking. An invoice will be sent separately once the application is received. A refund for non-commencement of the journey cannot be guaranteed.